Where can you find a really neat ruin pub on Király street? Under number 46, Kuplung became the coolest, most buzzing place of the area for sure. It all started in 2004, with the usual concept: get a big, empty house, renovate it and let awesome visual artists do whatever they want with it. The results payed off immediately: Kuplung was put on the Budapest ruin bar map. The place has a nice underwater theme with some jelly fish shaped lamps and a huge whale hanging from the ceiling of the concert hall. Beside underwater animals, the place is convenient for terrestrials as well, there are benches running all along the courtyard, and they have a great dance hall for every two-legged creature to fit in comfortably. Parties are guaranteed by all the invited bands or DJs day after day, you can expect a wide range of music genres here – not to mention any other cultural events, theatre plays, and so on. They have everything in the bar to provide a good party, you can get really fancy cocktails as well as regular beers, wines and spirits. 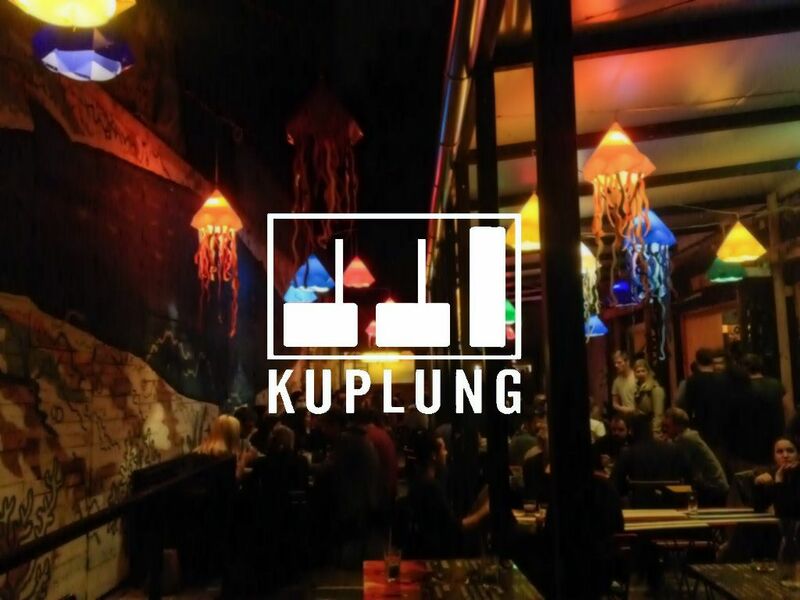 Kuplung is open by day as well, so feel free to hop in for a coffee, a beer after work, or to have lunch on a busy weekday: after you taste something from the new menu with all the grilled goods, you definitely won’t go home hungry!